Paulette is about to go on stage in “Over the Garden Hedge”, a new play written and directed by Lawrence Coke. 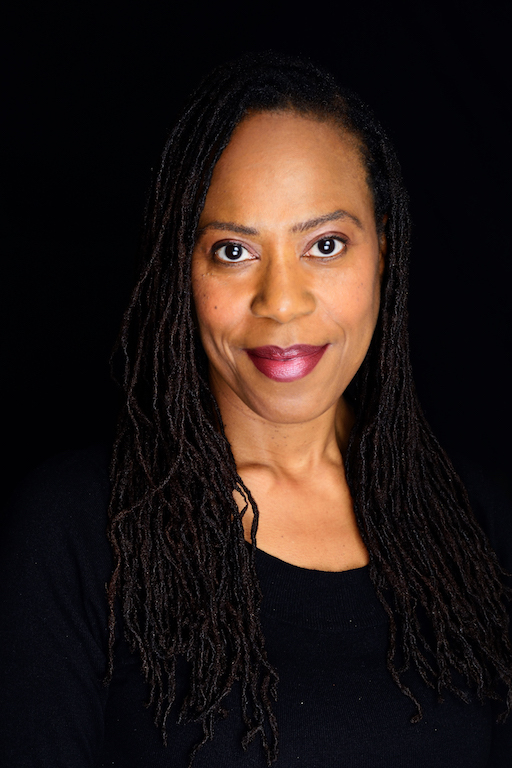 Comprising roles both on and off screen she is an actor, producer, presenter, broadcaster and voiceover artist, in her early career she was part of the cast of award winning musical ‘Black Heroes in the Hall of Fame’. Since she has worked in radio as a Broadcaster and Broadcast Assistant, co-producing shows on community radio as well as for the BBC. Working as a Producer her film credits include, 1st AD on Julius Amadume’s ‘A Goats Tail’, and Associate Producer on Lawrence Coke’s ‘Melvin: Chronicles of a Player, Menelik Shabazz’s documentary ‘The Story of Lovers Rock” and his documentary ‘Looking For Love’. Paulette plays Margareth Brown in “Over the Garden Hedge”, we managed to catch up with her between rehearsals. AA: Tell us about the character you play and her motivations? PHG: I play the character of Margareth Brown who had been married to Kenneth Brown for 30 odd years. Margareth works as a Senior Manager and her one big motivation is to get to the truth about a past that she can not let go of but at the same time she does not want to reveal anything about her own past and her own truth. Margareth loves Ken, however there is a deep sadness that she carries with her. But despite this, Margareth is a feisty woman, a great and dedicated homemaker, who is very resilient, hardworking and has a big heart. AA: What do you like or dislike about your character? PHG: What I dislike about my character is her double standards. AA: What attracted you to the script? PGH: What attracted me to the script, firstly, that it is a new play, which explores the current themes/and issues that are profoundly affecting the world. Coke has decided to tackle these themes giving voice to the perspective of a 55 year old heterosexual couple, in particular, we hear the male voice which is something that is quite rare right now. AA: Tell us about some of the themes in the play? PGH: Some of the strongest themes explored in the play are, infidelity, identity, honesty, institutional racism… something we are not foreign to in this current social political climate or as human beings. AA: What is it like working with Lawrence Coke as a Director? PGH: This is the second project I have worked with Lawrence, the first was on his feature film directorial debut ‘Melvin: Chronicles of a Player’. What I love about working with Lawrence is the space he gives the actor to be free to contribute their thoughts, their intentions to the development process of the play. Lawrence is a very supportive, hands on Director and very reassuring and protective of his cast. AA: Why should people see this play? People should see this play for the ingenuity of the script, which is being brought to life by a cast who are deeply invested in delivering a fresh take on existing themes which are currently being questioned in society. It provides a public airing of some of the taboo and sometimes covert conversations thus giving an audible voice, thus sparking open debate. The Story: Ken is looking forward to a quiet retirement but his dream is about to be shattered when the past comes knocking at the door. All Ken can think about in his last week before retirement is doing away with the alarm clock and long summer breaks with the wife. All Margareth wants is her questions answered, the truth about the past and the bloody hedge trimmed. When a couple have been married over thirty years they know everything about each other… right? Over the Garden Hedge is a thought provoking comedy-drama touching on love, family, race, identity, Brexit and why being woke means knowing not to ask to touch a black person’s hair. Cast includes: Paulette Harris-German, Fabian Spencer and Nicole Sinclair.